In the last several years that I’ve been studying the topic, I’ve been continually amazed at patients’ seemingly unlimited capacity to perform self-care. Faced with a life-threatening chronic illness, I see patients looking to take control of their condition, rather than recoil in despair. I feel as healthcare providers, we are no way near tapping this unrealized potential. Even family members eager to help are sometimes treated dismissively. It’s time we act to take advantage of this potential. The increasing prevalence of chronic disease in our aging populations is placing an unprecedented strain on our healthcare system. However, when I look at the current market leaders in chronic disease remote patient monitoring (RPM), I see mainly antiquated technologies that do little to promote patient self-care. 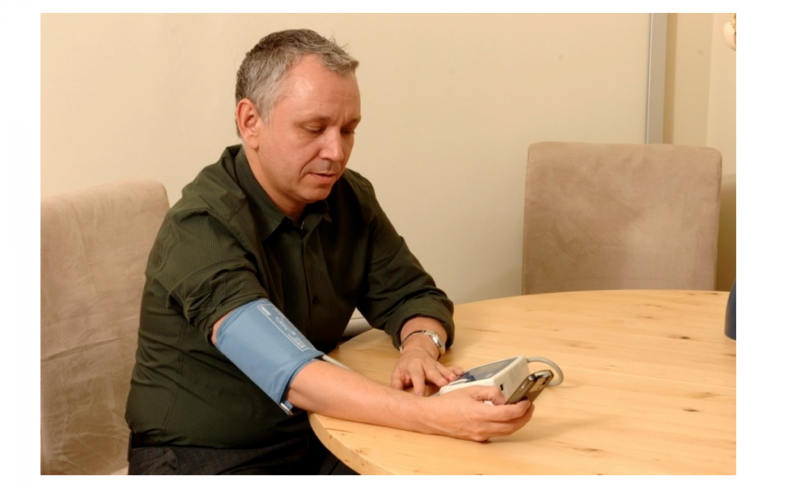 Read below to see what our randomized controlled trials have shown us what patients with diabetes and hypertension can achieve when they are engaged with low-cost remote monitoring solutions using smartphones. Americans with diabetes number more than 30 million. Where is Honeywell, Bosch, GE, or Philips’ solution for this group? I see two main problems with the current offerings. First, they are clearly physician-centric, simply prompting for patients to provide data for the health care provider. Most of these solutions do not adequately engage the patients themselves. And then there is the cost. The business opportunity is there, but the technology is so costly that the return on investment is only obvious for the sickest of patients. As a result, remote patient monitoring will remain at the margins of healthcare delivery. An interesting novelty distraction, but by no means making a dent in the growing population of the public suffering for chronic disease. Let’s not assume because it’s a medical device that we need have a base price of $3,000. Moreover, if we assume that patients can actively engage their health conditions and that they are not passive data collectors, then we can build technology that is far more ubiquitous and can scale easily to these large populations. We performed a randomized controlled trial of 110 adult type II diabetes patients with uncontrolled systolic hypertension who were randomly assigned to monitor their blood pressure at home versus standard care. Remote monitored patients were provided with Bluetooth-enabled, clinically validated medical devices and a BlackBerry smartphone running a BlackBerry OS-based remote monitoring application. Family physicians provided care for all patients. The patients were asked to take their measurements on a regular basis and automated reminders would be sent if these readings were not taken. The device acted as a personal medical diary, logging all of their home measurements and displaying trends that were used to generate reports. After a one-year period the patients’ baseline mean daytime systolic and diastolic blood pressure improved on average by 9.1 Â± 15.6 mmHg in the remote monitored group (n=54; p<0.0001) and only â1.5 Â± 12.2 mmHg in the control group (n=51; p=0.38). As well, 50% of patients in the telemonitoring group had their BP under good control (BP <130/80) compared to only 29% in the control group (P<0.05).